Sandy & Patty a couple of Northwestern Fans had such an awesome experience last August being able to Chat and Drink with Sig and closing out the Lounge at Lake of the Torches Casino, they sent in their new plan for another meet and greet for 2011. If you have a garage and extra stuff this post is for you. We’ve had some creative methods for meeting Sig and some not so legal methods for trying to meet him. We’ve also done our fair share of Northwestern Charity events raising money over the years for Ronald McDonald House, Make a Wish Foundation and friends of the northwestern charity events for medical issues and local school issues. 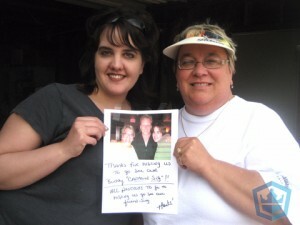 However, this is the first time we’ve seen someone do an event to raise money to see Sig Hansen. It strikes a chord as “wow that’s odd” at first. Then you think wow they are on to something here. So I got to thinking why not have a “Friends of the Northwestern Garage Sale Post” if you have a garage sale to benefit you raising money to see Sig at an event or even the Captain’s Tour then will we post your Garage Sale information as well as Dates and Times. So long you send a photo of your setup with your “A Northwestern’s Deadliest Garage Sale” banner or signage. 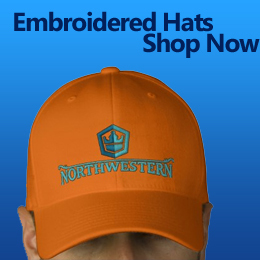 Heck for the effort I may even mail you some Northwestern Gear but that depends on your creativeness. We got LUCKY…and I mean REALLY LUCKY and not CASINO lucky! At the end of the night and all our gambling money was gone we decided to pop in the lounge for a coke to take to the room and there he was!!! WE WERE IN AWE! We got to tell him how we spent so much time in a line waiting to meet him and get a picture and then were told we could NOT get one. He could not believe it! He was MORE THAN THRILLED to let us take a picture with him and spend some time chatting with us one on one! WE NEVER forgot this moment in time…where we got to talk face to face with our “buddy”. We even use THOSE pictures he let us take as our profile picture on Facebook. We were also now CELEBS in our own right after we got home and showed our pictures of our new found BUDDY to all our friends. It could not have worked out more perfectly!! SO THEN….we hear that SIG is returning to the Lake of the Torches AGAIN this August with the Hillstrand brothers in tow! Well, we flipped! We had to figure out a way to get back there to see him again and hope that we could once again spend a little time talking to our friend. Well, you seen the results of that! We got involved in our community wide Garage Sale so we could raise the money needed for such an expensive trip. AND WE DID, well maybe not all of it, but we are darn close! We both know he most likely will not remember who we are…but you can bet, we know who HE is and remember how kind-hearted, gracious and down to earth he was to us girls. He treated us like we were friends our whole lives and gave us a memory we talk about to this day. WE LOVE SIG and are thrilled to have made enough money in our garage sale to take the 3 hour drive to try and see him again. We know we might not be able to get as “LUCKY” as we did last year at the casino…but we sure are praying to the NORTHWESTERN GOD that it WILL HAPPEN AGAIN! Thanks to all of you for recognizing that fans are pretty awesome too! We are thrilled you picked us to be on your FRONT PAGE of the Northerstern Web site. IN fact…we are pretty much GIDDY! We wish you ALL the best and lots of CRAB FILLED POTS!! !